Tom Jones, P.E. Tom has transitioned into the role of Managing Principal at Zipper Geo. 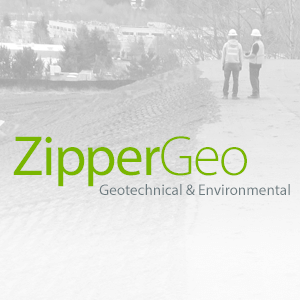 Tom oversees Zipper Geo’s day to day operations, planning for our future, the well-being of our staff, and keeps us on track towards our strategic goals. Robert Ross, P.E. Rob has transitioned to Chief Financial Officer of the firm. Rob oversees the day to day financial operations of the firm and budgeting for capital expenditures, education and training, marketing, and other expenses. Not to worry, Rob will continue to provide design services for your lateral earth retaining systems including mechanically stabilized earth walls, structural earth walls, soldier pile walls, and soil nail walls. In addition, Rob is excited to develop projects using FHWA’s new innovative bridge technology, Geosynthetic Reinforced Soil Integrated Bridge Systems, or GRS-IBS for short. Sean Donnan, P.G., LHG, LEG Sean joined the ZGA team as a Principal Geologist in July of this year and we couldn’t be happier! If you’ve worked with a Zipper firm before, you know Sean and his commitment to the highest level of service in the environmental arena. Sean has more than 32 years of assessing soil and groundwater contamination with a strong background in senior management and leadership of staff, projects, and regulatory compliance issues. Sean possesses an excellent understanding of state-specific environmental statutes in Washington, Alaska, Idaho, Montana, Oregon, Utah, Nevada, and California. He has a particularly strong ability to differentiate between real and perceived risks to human health and the environment. He possesses an understanding of analytical chemistry and its practical application to site restoration and project development. Mr. Donnan is knowledgeable about limitations inherent to EPA and state-specific testing protocols and data interpretation, and clearly understands the influence laboratory testing can have on the critical path of a project. If you are dealing with environmental issues, you’re going to want Sean on your team. John Zipper, P.E. John has transitioned to a more relaxed role at Zipper Geo. John is now working part time as our Senior Consultant and continues to work on select projects. John provides valuable insight and consulting to our management team such that we can continue to provide the great service, value, and expertise that our clients have come to know from his decades of experience as a Geoprofessional consultant and consulting firm owner and manager. Our group of principals has worked with John for 20 to over 30 years. There’s a reason why we’ve all stuck with John. He’s a great leader and we’re going to continue to deliver the skills and leadership he’s passed down over the years. Elizabeth Rachman, L.G., LHG Elizabeth joined the ZGA team in October of this year as a Senior Geologist in our environmental group. Liz will be developing and completing environmental work in the South Sound area as well as working with our environmental group leads, Sean Donnan and Jon Einarsen. Liz has more than 22 years of environmental consulting experience. She has practiced all over the country, but most extensively throughout the Pacific Northwest and Midwest. She has worked with many different types of clients, including private equity firms, lenders, developers, attorneys, public agencies, and individual property owners. Liz has worked on projects of various size and scope, from individual commercial property transactions to large-scale mergers and acquisitions. Liz has been responsible for the planning, budgeting, and management of a variety of projects involving regulatory compliance, environmental due diligence, regulatory negotiations and remediation. Liz also has experience managing staff with varying levels of experience. Evelyn Conrado Evelyn joined the ZGA team in April of this year as a Staff Geologist. Evelyn began studying geology at the University of California, Riverside after being intrigued by volcanoes and earthquakes at a young age. Evelyn sought to continue her interest for natural disasters by obtaining a master’s degree at the University of Washington where she focused on landslide risk and mitigation. Evelyn has experience creating a multi-hazard database and a historic landslide database. She works with our environmental group completing Phase 1 Environmental Site Assessments, as well as environmental field and geotechnical laboratory work. Bryan Fowler Bryan joined the ZGA team in October of 2014 as a Staff Geologist. After getting his degree in geology from the University of Oregon, Bryan wanted to work outside and have a chance to travel. Through work, Bryan appreciates the wide variety of geologic landscapes and different job sites he gets to work on. Bryan’s primary duties include field exploration, geotechnical construction observation, and laboratory testing. Bryan was the primary field geologist for the complex reconstruction of a failing tieback solider pile retaining wall in Issaquah, Washington. Bryan completed over 150 site visits which included observation and testing of 100+ foot long tiebacks! Jeffery Tinklepaugh, G.I.T. Jeff joined the ZGA team in October of 2015 as a Staff Geologist. Jeff began studying geology in college after being intrigued by fossils and natural history. Jeff sought to combine his love of the outdoors and the environment with his interest in geology and ended up in environmental geology. Jeff enjoys the fact that his job lets him get outside while challenging himself mentally in a forensic sort of way. Jeff works in our environmental group and his primary duties include Phase I and Phase II Environmental Site Assessments, and asbestos and lead-based paint surveys. Nicolas Millman, E.I.T. Nick joined the ZGA team in June of 2015 as a Staff Engineer. Nick became attracted to geotechnical engineering initially from an interest in math and design, and classes he took on foundation design and soil mechanics in college. Nick enjoys working on a wide variety of projects and in different aspects of the field from stormwater monitoring to subgrade compaction. Nick is our Certified Erosion and Sediment Control Lead (CESCL) and is responsible for ensuring compliance with all local, state, and federal erosion and sediment control and water quality requirements on our sites that have CESCL requirements. In addition, Nick’s duties include laboratory testing and construction observation. Stephen Miller, E.I.T. Stephen joined the ZGA team in June of this year as a Staff Engineer. Stephen studied Civil Engineering at Rochester Institute of Technology, once being exposed to civil engineering by family. Stephen works in our geotechnical group and his primary duties include construction observation, laboratory testing, engineering analysis, and drafting.